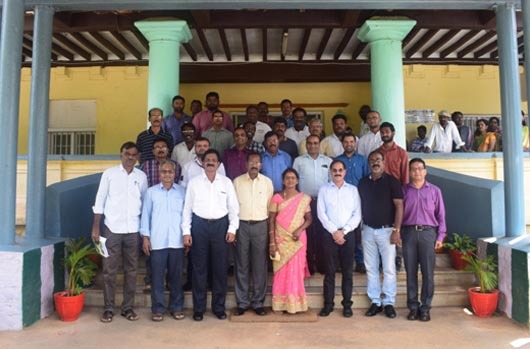 NIRM organised a "Conference with Industry Partners on Future Strategies" on 18th Feb 2019 at Taj Yeshwantpur, Bengaluru under the chairmanship of Dr. K. Rajeswara Rao, IAS, Additional Secretary, Ministry of Mines and Controller General, Indian Bureau of Mines, Govt. of India. Shri. Dorji P Phuntshok, Joint Managing Director, Punatsangchhu HEP-II, Bhutan was Guest of Honour during the conference. Shri Alok Chandra, Economic Adviser and Shri Amit Saran, Director of Ministry of Mines graced the occasion. More than 25 industry partners participated and interacted. Dr. H S Venkatesh, Director, NIRM welcomed all and briefed about various activities of NIRM. Industry partners shared their previous experiences with NIRM and also highlighted their future requirements. Shri. Dorji P Phuntshok narrated his long term association with NIRM and continued support of NIRM for Projects in Bhutan. Additional Secretary, Ministry of Mines expressed satisfaction over feedback from the industry and also assured complete support from Ministry of Mines for NIRM's future endeavours. Organizing Secretary, Dr. Sripad R Naik, HOD, NMD presented the vote of thanks. The event was sponsored by JSW Ltd. The following is the list of Industry Partners at the Conference. 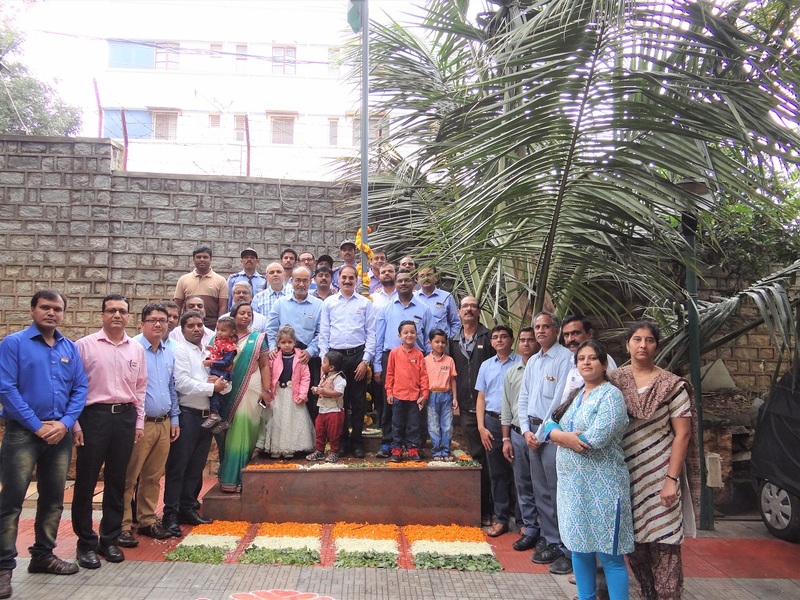 Megha Engineering and Infrastructure Ltd.
NIRM celebrated 70th Republic Day at NIRM HO, Bengaluru and NIRM RO, KGF. 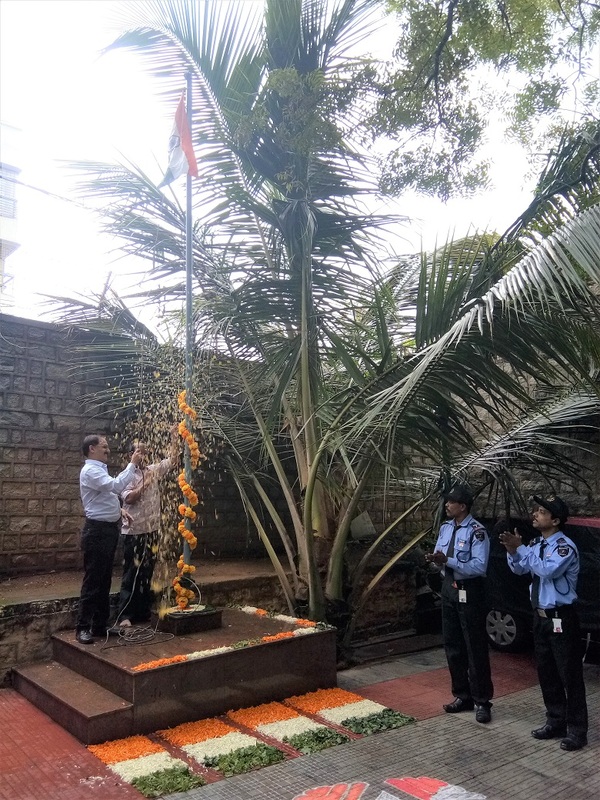 Dr. P. C. Jha, Scientist -V and HOD, EGP hoisted the National Flag at Bengaluru office and Officer-in-Charge, Mr. A. Rajan Babu at KGF Office and addressed the gathering. Staff Welfare Fund of NIRM distributed sweet on the occasion. Dr. P. C. Jha, addressing the gathering at NIRM HO on the occasion of Republic Day. 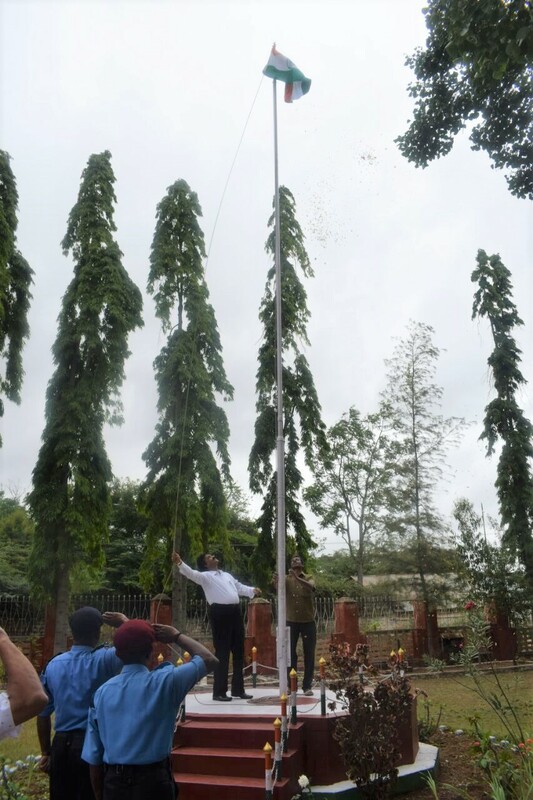 Hoisting of National Flag by Officer -in-Charge, NIRM RO at KGF. Shri.Anil G Mukim, Secretary to Govt. of India, Ministry of Mines, visited our Head Office at Bengaluru on 17th December 2018. 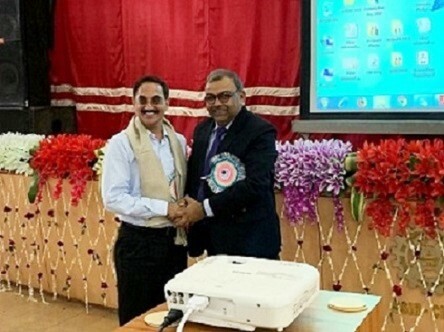 He was welcomed by Dr H S Venkatesh, Director and felicitated by Mr Rajan Babu, Scientist-F and Liaison Officer, SC/ST Cell of NIRM. Mr Mukim was accompanied by Mr Alok Chandra, Economic Advisor of Ministry of Mines and Ms.Farida M Naik, Director, Ministry of Mines. During this visit he reviewed the activities of NIRM. Mr Santosh Sharma, CMD, HCL and Dr. Ranjit Rath, CMD, MECL too joined this review meeting in which all HoDs of Scientific departments were present. Dr. H S Venkatesh, Director, NIRM presented the activities of the Institute. He explained that even with a small work-force, NIRM apart from its parent obligation of supporting the mining industry, has left an indelible foot-print in almost all hydroelectric projects of the country. He explained that off-late the Institute has diversified its activities to support nuclear and thermal power, infrastructure sector and other sectors of societal importance. During the course of his presentation, Dr. Venkatesh highlighted the technical expertise of NIRM vis-à-vis scope of expansion of this Institute to scale new heights if supported by the Government. He presented a roadmap of the Institute in which possibility of developing the institute into three verticals – academics, skill development and forays into international collaboration was explained. 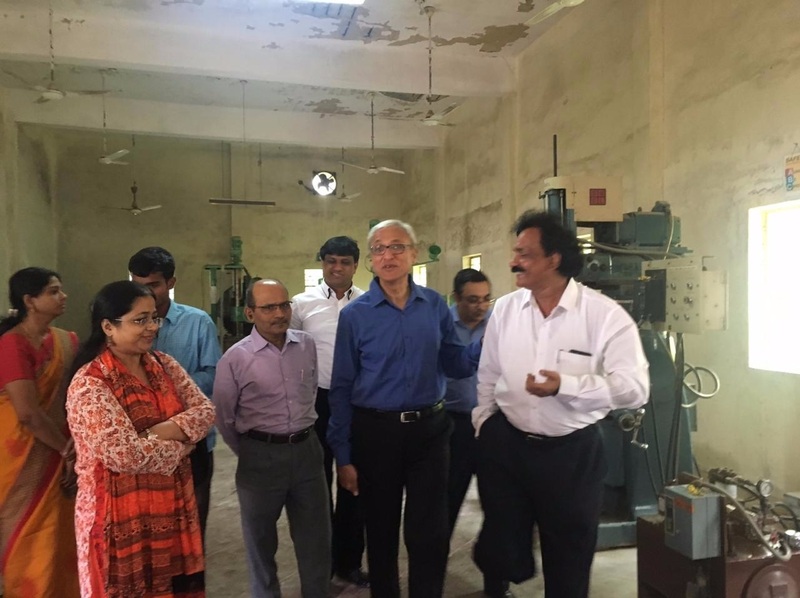 Secretary (mines) visited the scientific departments where respective HoDs explained the work being done by the Institute in diversified fields. Secretary (Mines) expressed his appreciation for the work being carried out by this small and well compacted institute. He assured full support and cooperation of government in development of the Institute as per planned roadmap and suggested to hasten up the target elements of the roadmap. 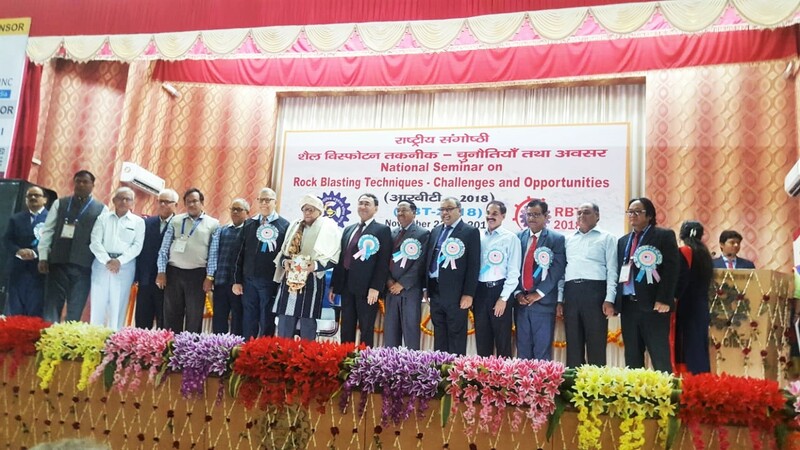 During the National seminar on Rock Blasting Techniques - Challenges and Opportunities at Central Institute of Mining and Fuel Research (CIMFR), Dhanbad on 23-24 November, 2018. Professor D. P. Singh was honored for his Life time contribution to Mining and Rock Engineering. As part of the events, Prof. Singh was honored by various dignitaries and Director, NIRM too felicitated Prof. Singh on behalf of NIRM. Dr. H S Venkatesh, Director, NIRM delivered a keynote lecture on "Sustainability of Blasting". Dr.P.K. Singh, Director, CIMFR honored Dr. H S Venkatesh for having taken over as Director, NIRM. Vigilance Awareness Week was celebrated during 29th Oct - 3rd Nov 2018. All Employees of the Institute took a pledge for anti-corruption and NIRM as an Institute too joined in the anti-corruption pledge. Shri. Anil Gopishankar Mukim, IAS, Secretary to Govt. 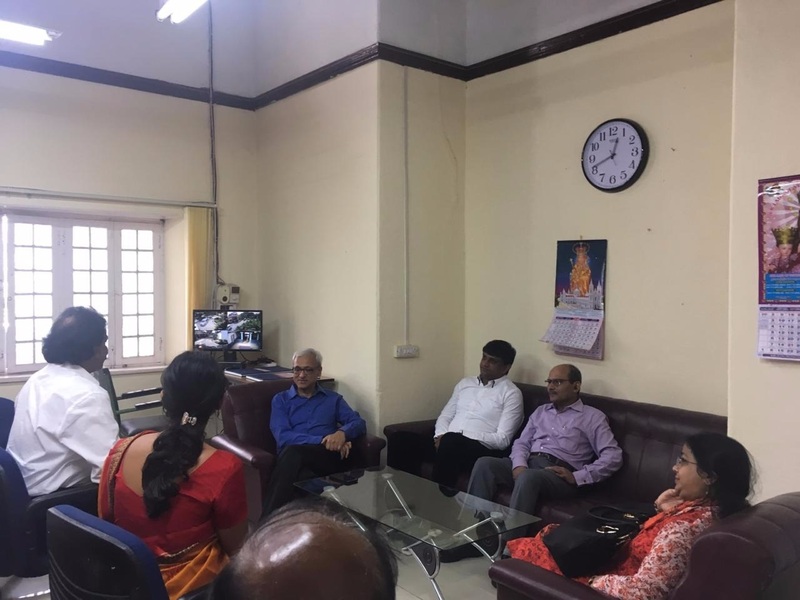 of India, Ministry of Mines, visited NIRM,on 25th October 2018 and was briefed by Mr. Rajan Babu, Officer in Charge, NIRM, Registered office,KGF about the activities of NIRM. 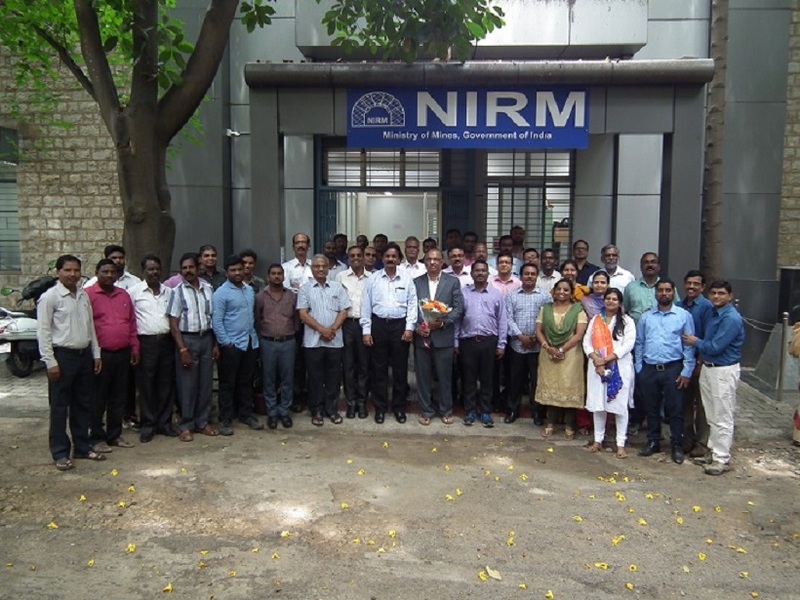 NIRM bid farewell to Sri N. Selvaraj, Lab Assistant-III, who retired from NIRM service on 30.09.2018 on attaining the age of superannuation after more than 28 years of his sincere and dedicated services. 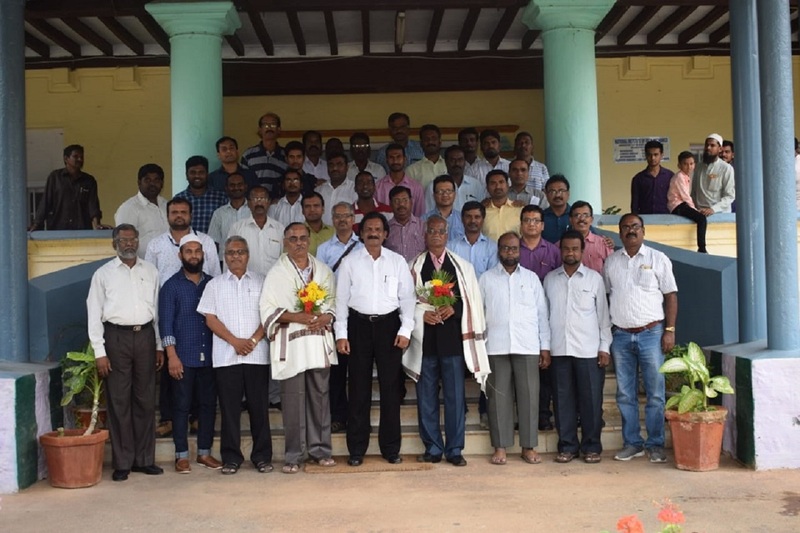 His farewell felicitation was conducted on September 28, 2018, in NIRM RO, KGF. His family members and NIRM employees attended the felicitation programme. Felicitation programme was organized by the Staff Welfare Fund of NIRM. His vast experience was useful in various projects undertaken by NIRM related to coal, metal mining, slope stability studies in open cast mining and hydro-electric projects in Himachal Pradesh and Bhutan. He was the recipient of “NIRM Best Staff Award” for the year of 2011. 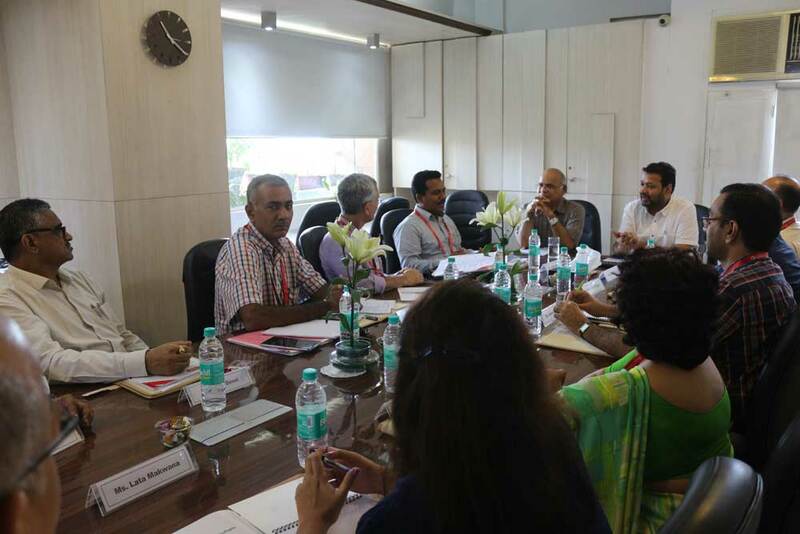 21st Peer Review Committee meeting of NIRM was held at Bangalore on 28th August 2018 under the chairmanship of Prof. B. B. Dhar, Former Director CIMFR. Dr. H.S. Venkatesh, Director, NIRM welcomed chairman and members of Peer Review Committee. 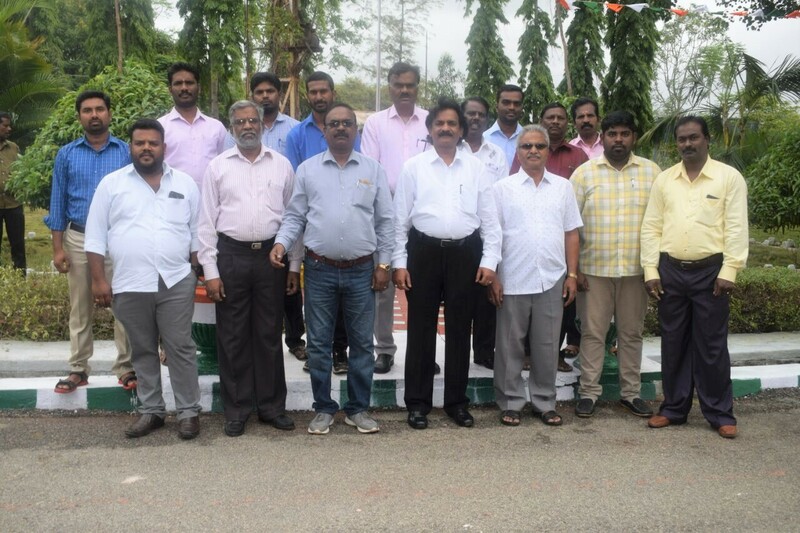 The committee reviewed the technical activity of all departments of NIRM and appreciated the activities of NIRM in serving the nation in the diverse areas of Rock Mechanics and Rock Engineering. Shri S.Ravi, Secretary (PRC & GB), NIRM co-ordinated the meeting. The following HOD’s of all the Technical Departments of NIRM attended the meeting. The minutes of the meeting has been circulated to all the members and Heads of Departments, NIRM. Mrs. Praveena Das Jennifer, Scientist-II and Mrs. B.S. 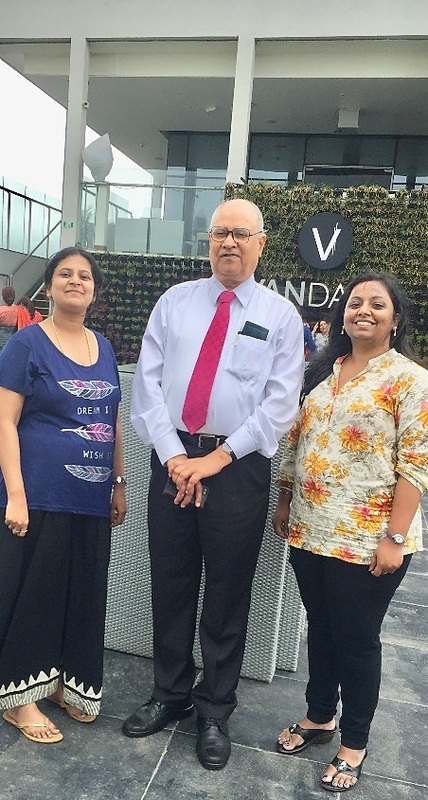 Shruthi, Office Assistant-I attended the 44th 2-day Workshop on “The Sexual Harassment of Women at workplace (Prevention, Prohibition and Redressal) Act, 2013” on July 20th & 21st , 2018 at The Gateway Hotel, Wakad road, Pune. The Institute of Public Administration (IPA) is an empanelled Institute under the Ministry of Women and Child Development, Government of India, to impart training under Sexual Harassment of Women at Workplace (Prevention, Prohibition and Redressal)Act, 2013. 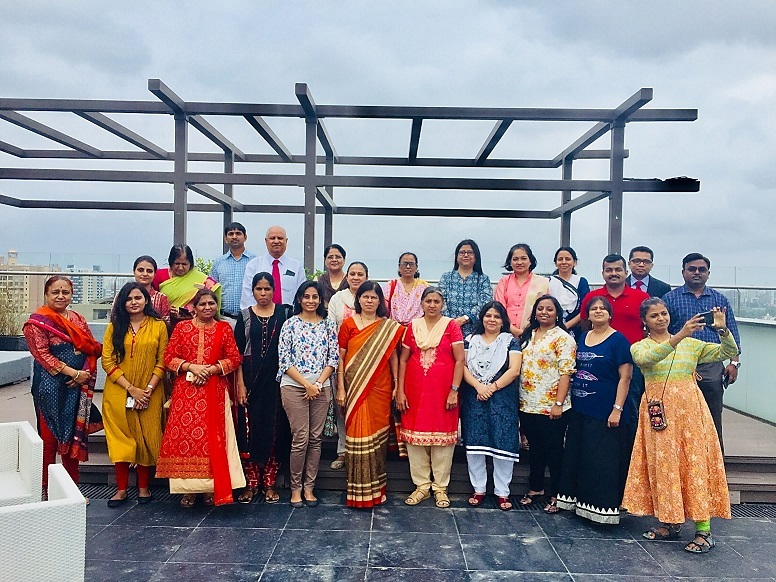 The IPA conducts this training on regular basis with view to give proper rendition of the Acts and Rules related to Sexual harassment at workplace . Under the Sexual Harassment at Workplace Act, 2013, it is compulsory for any organisation with 10 or more employees to set up an Internal Complaints Committee (ICC) for addressing complaints of sexual harassment. The Workshop mainly emphasized on setting up of an ICC, training the members of the ICC to conduct domestic inquiry flawlessly so that the establishment does not lose the Sexual Harassment case on technical ground in the court of law and to apprise the Employer of the provisions of the Act and Rules made thereunder. Shri. G.V. Devikumar, AGM (R&D), SCCL visits NIRM HO on 27th August 2018. 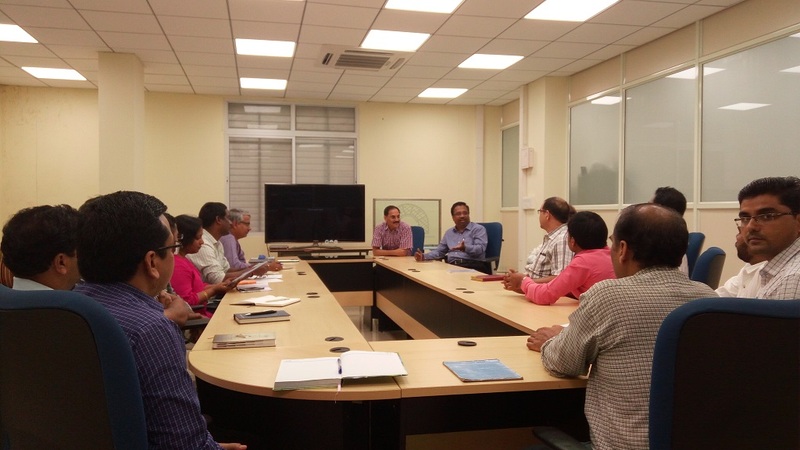 Dr. H S Venkatesh, Director, NIRM briefed him about the activities of NIRM. Shri. 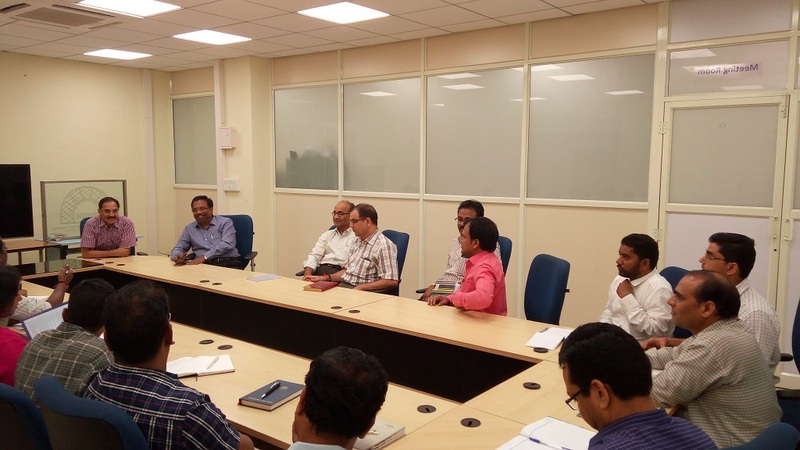 Devikumar interacted with the scientists of NIRM and appreciated the technical expertise of NIRM in various fields. He was hopeful that NIRM would continue to provide support to SCCL in various technical aspects. 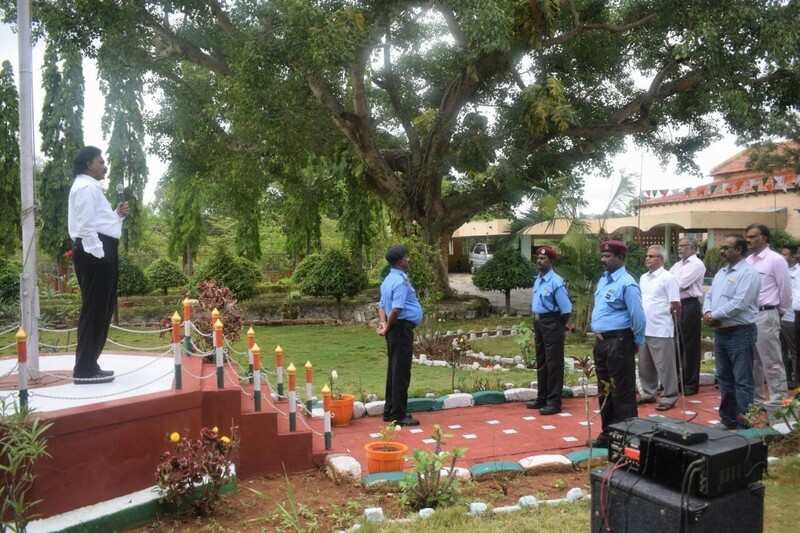 NIRM celebrated 72nd Independence Day at NIRM HO, Bengaluru and at NIRM RO, KGF. 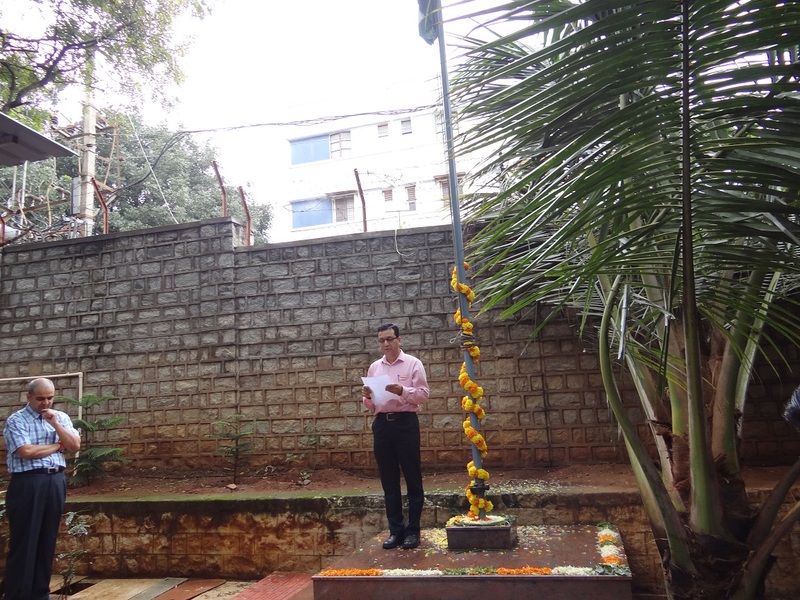 Dr. H S Venkatesh, Director, NIRM hoisted the National Flag at the Head office, Bengaluru and addressed the gathering. Mr. A Rajan Babu, Officer In-charge at registered Office, KGF hoisted the national flag and addressed the gathering. Dr. D S Rawat , Scientist and Treasurer of Staff Welfare Fund briefed about the history of National Anthem. NIRM bid farewell to Sri Jakkarasakuppa Vishwanatha Sastry, Section Officer (Internal Audit), who retired from NIRM service on 31.07.2018 (Tuesday) on attaining the age of superannuation after more than 24 years of his sincere and dedicated services. 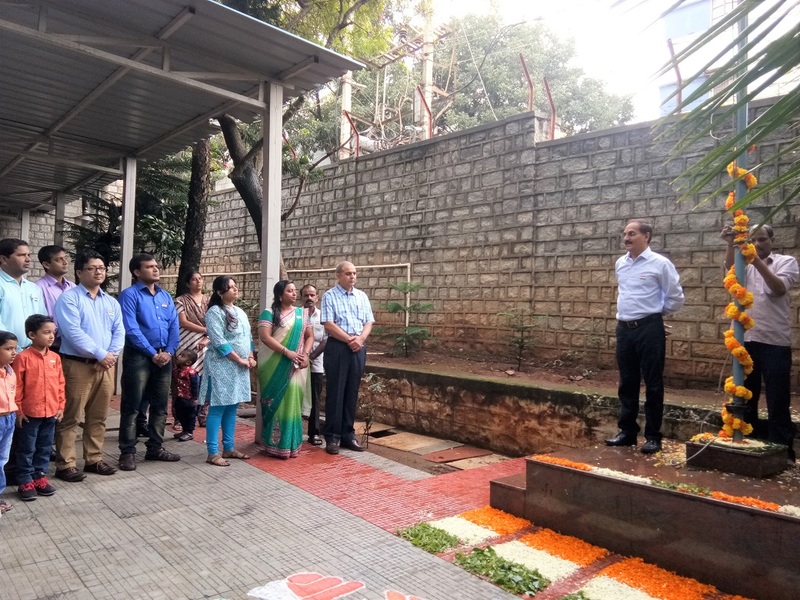 His farewell felicitation was conducted on July 30, 2018 in NIRM HO, Bengaluru. His family members and NIRM employees attended felicitation programme. Felicitation programme was organized by Staff Welfare Fund of NIRM. His knowledge and vast experience related to finance was useful in regulating the funds received by the NIRM. He worked zealously for the all-round development of the Administration of the Institute. NIRM bid farewell to Mr. Syed Asghar, Technician-IV , who retired from NIRM service on 31.07.2018 (Tuesday) on attaining the age of superannuation after more than 36 years of his sincere and dedicated services. His farewell felicitation was conducted on July 31, 2018 in NIRM RO, KGF. His family members and NIRM employees attended felicitation programme. Felicitation programme was organized by Staff Welfare Fund of NIRM. His vast experience was useful in various projects undertaken by NIRM related to mines, hydel, tunneling projects, underground crude storage schemes. 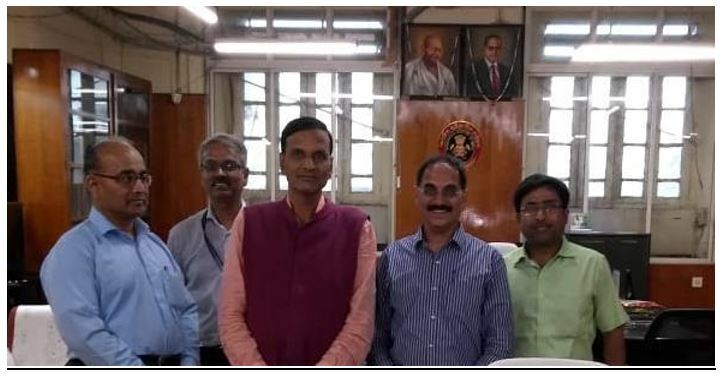 Dr. Sandeep Nelliat, Scientist-III and Controller of Administration attended a 3 days Customised Training Programme on “Parliamentary Procedures” at the Parliamentary & Administrative Research Institute (PARI), New Delhi. 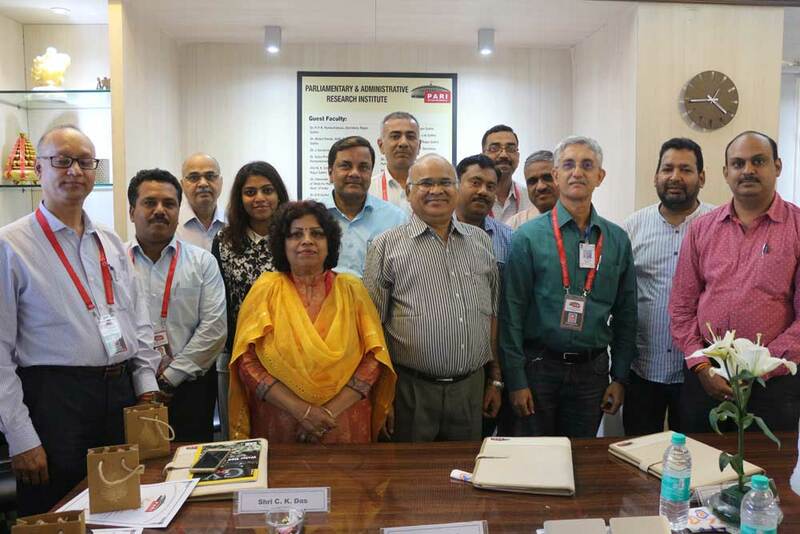 The intensive training was undertaken to delve in to the details of parliamentary and administrative procedures in India and to understand the relationship between the Executive and the Legislature. PARI has been on the forefront for bringing out certain capacity building courses on Parliamentary procedure which enable the stakeholders to deal with the Parliament efficiently. The capacity building courses are tailor-made for officers of the ministries/department/PSUs/Autonomous Bodies. 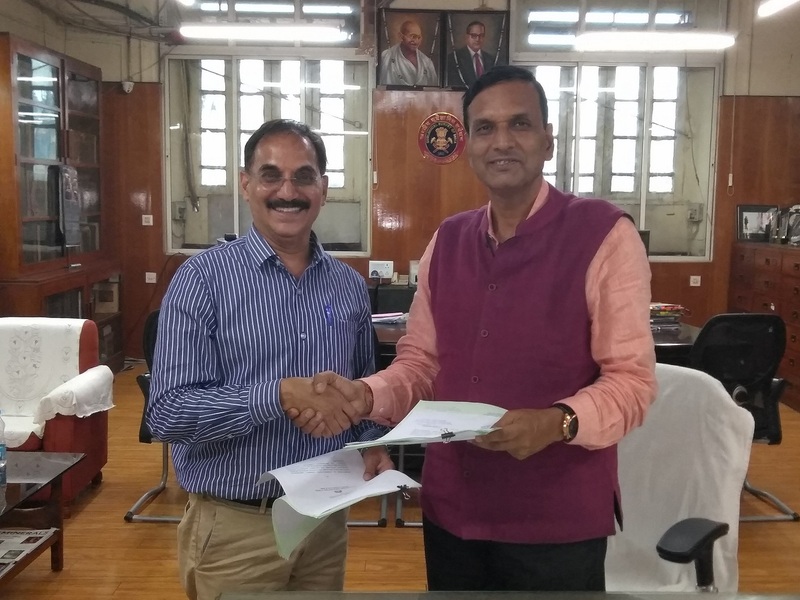 Geological Survey of India and National Institute of Rock Mechanics, Bangalore signed a Memorandum of Understanding (MoU) on 16th July, 2018 for providing additional office space to NIRM, Bangalore within the premises of GSI at the existing GSI Chemical and Ore-Dressing Laboratory (CODL), Eshwarnagar, Bangalore as per the directive of Ministry of Mines. The agreement is for leasing of the office space measuring 4112.472 sq. ft. area of CODL, GSI for a period of 20 years or till the time of vacation of occupant (NIRM) whichever is earlier on long term lease basis as permissible in the Government rules. However, the MoU may be extended or terminated by mutual consent. The MoU has been signed by Dr. Dinesh Gupta, Director General, Geological Survey of India on behalf of GSI and Dr. H.S. Venkatesh, Director, NIRM on behalf of National Institute of Rock Mechanics, Bangalore. 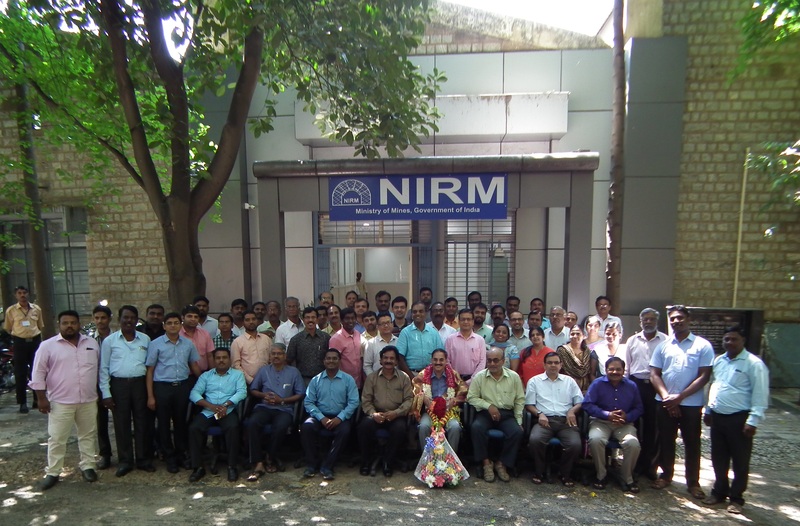 NIRM bid farewell to Sri Joseph Devadanam, Scientist-II, who retired from NIRM service on 31.05.2018 (Thrusday) on attaining the age of superannuation after more than 28 years of his sincere and dedicated services. His farewell felicitation was conducted on May 31, 2018 in NIRM RO, KGF. His family members and NIRM employees attended felicitation programme. Felicitation programme was organized by Staff Welfare Fund of NIRM. His knowledge and vast experience was useful in various projects undertaken by NIRM related to mines, hydel, tunneling projects, underground crude storage schemes. He worked zealously for the all-round development of the Institute. He has authored/coauthored over 150 project reports including one S&T. Staff Welfare Fund of NIRM under the leadership of Dr. A.K. 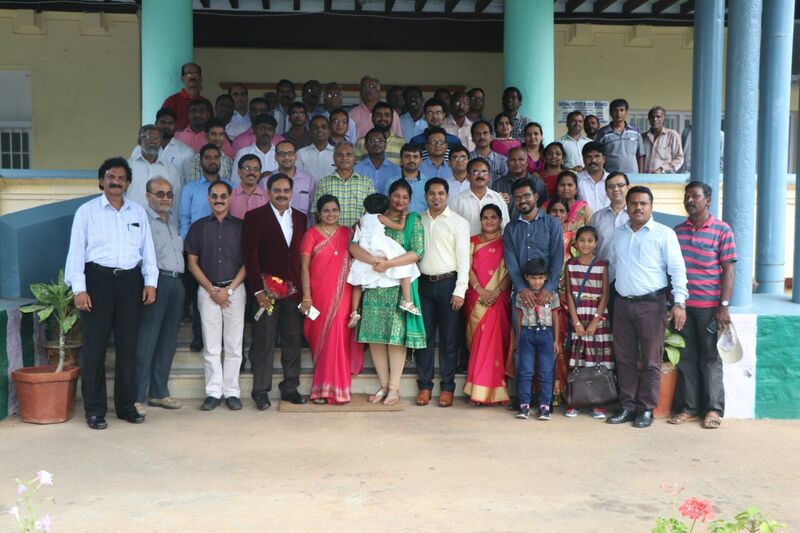 Naithani and his team organised a get together at NIRM Head Office, Bengaluru for welcoming newly appointed Director, Dr. H. S. Venkatesh. Dr. H. S Venkatesh, Scientist-5 and HOD Rock Excavation Engineering at NIRM is appointed as Director, NIRM by Ministry of Mines, Govt. of India. He has taken over as Director, NIRM on 17th May 2018 forenoon.